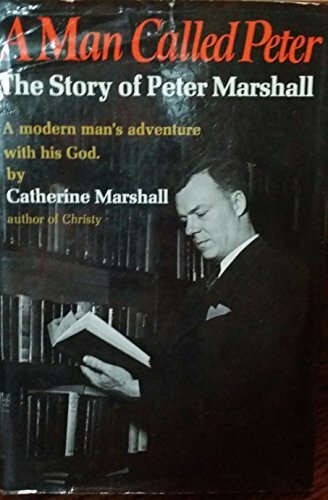 In the Preface to A Man Called Peter, Catherine Marshall tells of a dream she had after Peter Marshall's death: Peter was working in a rose garden and said playfully, "I know perfectly well what you've been doing, Catherine. You're writing a book. . . . It's all right, Kate. Go ahead and write it. Tell it all, if it will prove to people that a man can love the Lord and not be a sissy. . . ." Filled with wonderful humor, wisdom, and loving detail, the powerful story of Peter Marshall's life has touched the hearts and minds of millions of people. It is a book about love--the love between a dynamic man and his God, and the tender, romantic love between a man and the woman he married. It is also the gripping adventure of a poor Scottish immigrant who became Chaplain of the United States Senate and one of the most revered men in America. Through Peter's story and the powerful sermons and prayers included in this paperback edition, readers will discover insight into God, man, and life on earth and hereafter. They will also be encouraged by the realization that if God can do so much for a man called Peter, he can do as much for them.